At the Midwinter Meeting 2018, the ALSC Board took action to establish a task force to review our awards program, beginning with the Laura Ingalls Wilder Award. The Awards Program Review Task Force is now underway, to bring recommendations regarding the Laura Ingalls Wilder Award to the Board at Annual Conference 2018. Following Annual Conference, the task force will examine our other awards for discussion at Midwinter 2019. The task force’s exploration of the Wilder Award will include an online survey for members of ALSC and ALA ethnic affiliates to be announced this week (UPDATE March 27: the survey is now live here, open through April 8), and consultation with publishing representatives, relevant scholars and/or culturally proficient context experts as necessary, to fill gaps in knowledge regarding the impacts of the award as it is currently, and potential impacts for any changes. 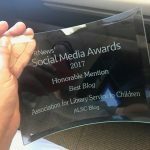 If the task force recommends changing the name of the award, it will present to the ALSC Board at Annual several possibilities for a new name, including some that are not attached to any individual. 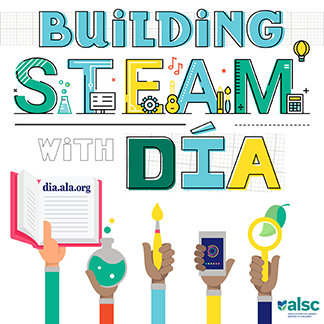 The task force’s recommendations will be presented in the Board packet, made available to all through ALA Connect, in advance of Annual conference. ALSC Board meetings are always open. I appointed the task force following the Board’s action at Midwinter 2018, in consultation with the ALSC Executive Committee. The task force is comprised of ALSC members who collectively bring institutional memory of the award over time, long-term leadership experience in ALSC, experience in children’s literature awards outside of ALSC, an understanding of newer ALSC member experience, and representation from the Equity Diversity and Inclusion within ALSC Implementation Task Force. In addition, a representative from The American Indian Library Association (AILA) has been appointed to the task force as a full member, in order to speak to the impact of Wilder’s work on First Nations and Native communities. I am grateful to the members of the task force for taking on this work, and its short timeframe, flexibly and deeply, and am equally grateful to each of you who will contribute your thoughts in the online survey. It is crucial that the Board have a fully informed perspective of stakeholders needs and wants, of the evolving dynamics of the environment that our awards impact, of our strategic capacity as an organization, and of the ethical implications of any action going forward. Thanks for this update to let us know what is happening with this! And thanks in advance to the task force for your hard work. I look forward to reading the committee’s recommendations.